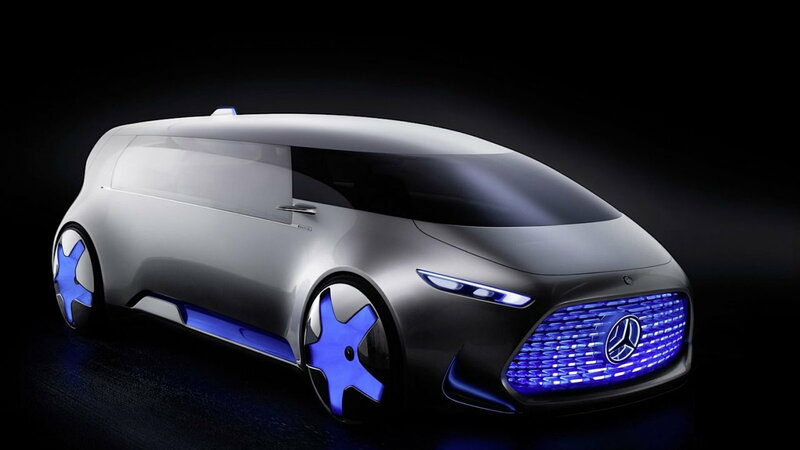 The Mercedes-Benz Vision Tokyo Concept autonomous vehicle is a conversion van for the 21st century. No one knows for sure exactly what the future will look like. That goes double for self-driving cars. 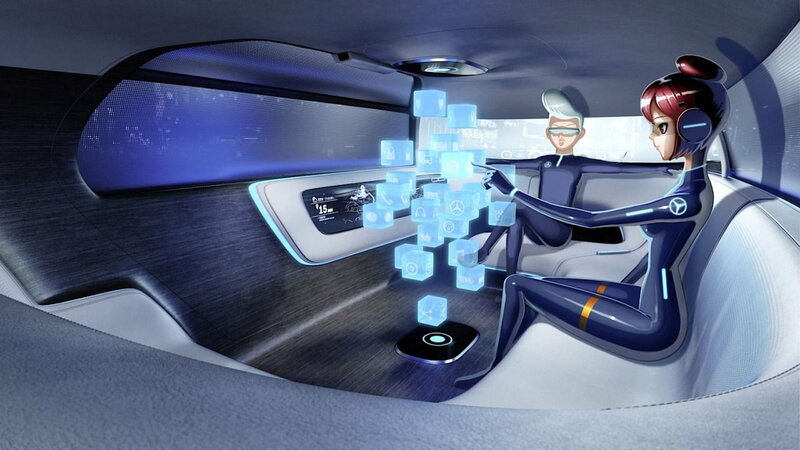 While the greatest economic impetus for driverless vehicles is likely the replacement of expensive, needy humans with manageable, predictable machines in logistics applications, the world's top-shelf brands are making the medicine go down with the sugar of exciting concept cars. 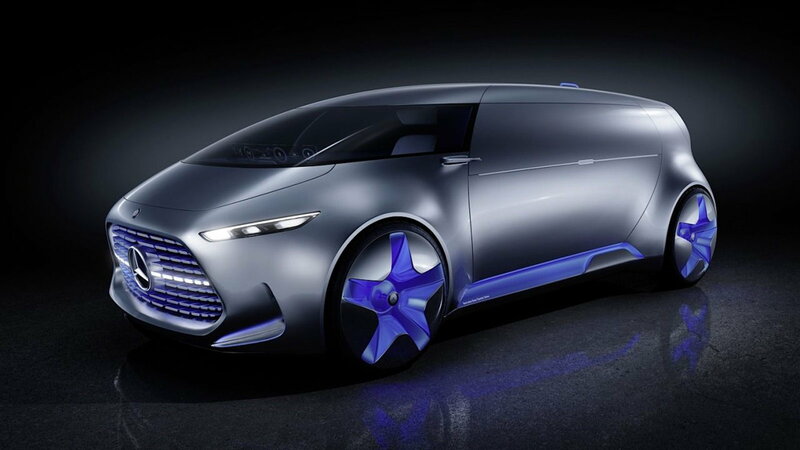 Mercedes-Benz Vision Tokyo concept vehicle joins newer entries into the possible-future sweepstakes such as the nameplate-reborn-as-science-fiction Aston Martin Lagonda autonomous vehicle. 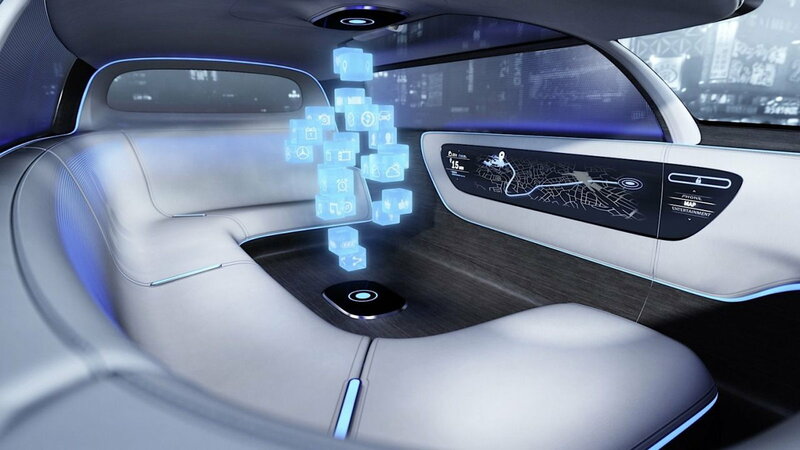 While the Lagonda is positioned as silver spoon business as usual, just with a different type of chauffeur, Mercedes refers to their Vision Tokyo as, "a chill-out zone in the midst of megacity traffic mayhem," that, "reflects the growing youthfulness," of the marque. Think of it as a smaller, more personal version of the private-public transportation buses that tech firms contract to ease the commute of their San Francisco-residing employees to jobs in Silicon Valley. Carpooling is always more fun when no one has to drive. The Vision Tokyo name is no accident. In one of the world's most crowded modern cities, space-optimizing vans come into their own. M-B's version of the passenger van is much sleeker and more aerodynamically efficient than the brick-like Kei class appliances common on the streets of Tokyo. 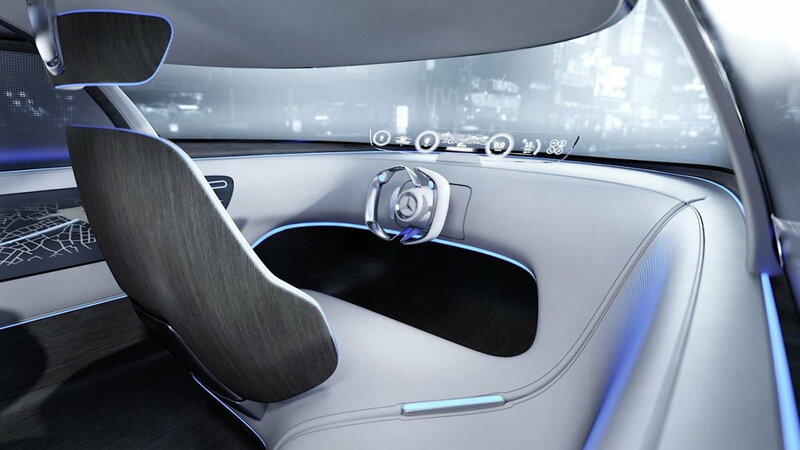 >>Join the conversation about new tech making for comfy cars in the future right here in MBWorld. Power for the Vision Tokyo's enormous 26-inch wheels comes from electric motors, which are in turn fueled by a hybrid hydrogen fuel-cell system. The fuel-cell/electric system operates with zero emissions and provides a range of up to 608 miles between stops for refueling. We don't expect the glowing rims to be a production item. Though the Vision Tokyo looks like a video game version of a contractor's panel van, the windows are actually covered in a privacy-boosting semi-transparent vinyl wrap, like the type used in bus advertising graphics, only, in this case, it's body-colored. Large gullwing-type doors allow passengers to step into and out of the van with greater ease than traditional entry systems. 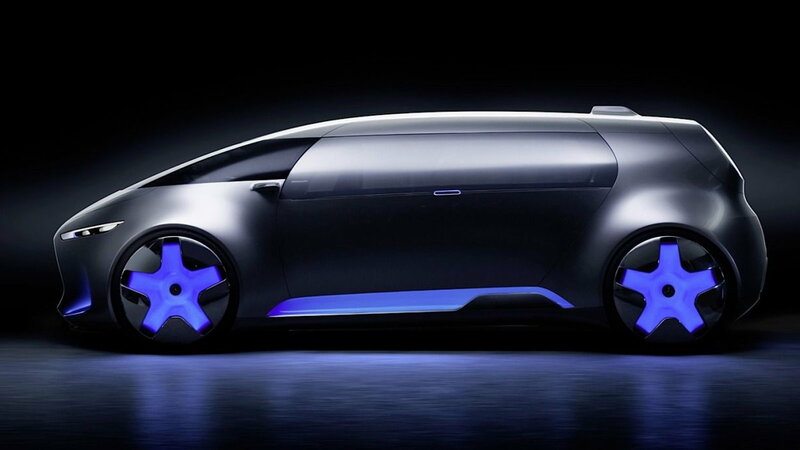 Though the Vision Toyko is a self-driving, it follows M-B executives' recent promises to retain steering wheels in the automaker's autonomous offerings. The driver’s seat can be folded away for times when the van does its own driving. The focus of M-B's party van from the future is the interior. 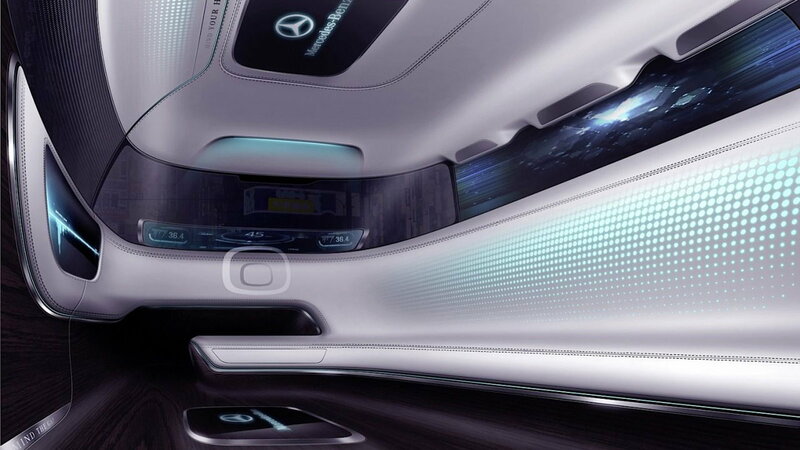 Like something out of David Cronenberg's 2012 film Cosmopolis, the stylish limo vibe goes along with Mercedes' projection of driven passengers wanting to "chill and chat" without regard to which direction they are facing. Though airbag schemas aren't popular auto show draws, one wonders if occupants would be encased in a protective cocoon in the event of a collision. 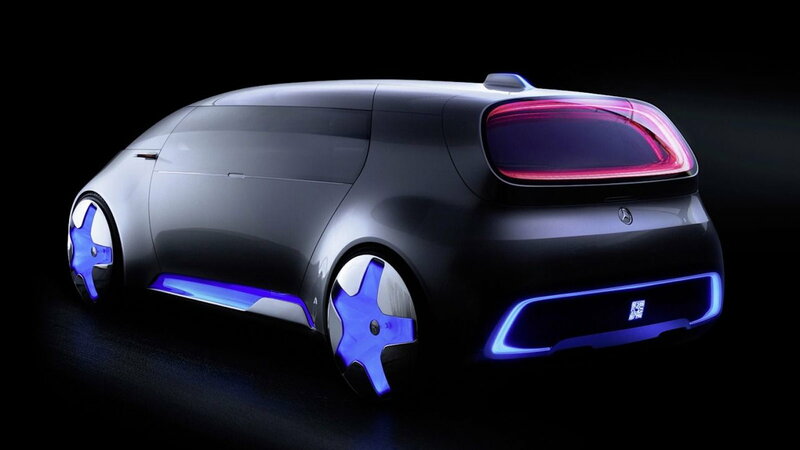 Mercedes drove the concept home, and away from limousines and conversion vans, with Jetson figures controlling things/entertaining themselves via hologram interfaces. 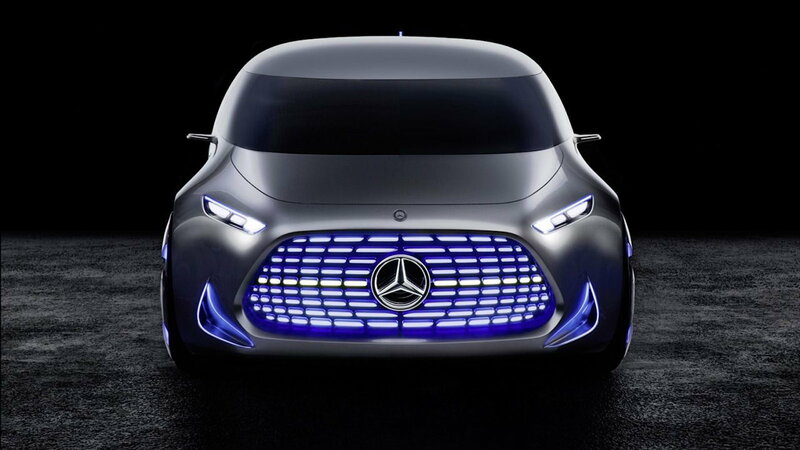 Like Mercedes-Benz's F105 concept vehicle, the Vision Tokyo's grille is loaded with LEDs that change color and occasionally flash, based on what driving mode the car is set in. If you saw a van displaying autonomous status-signifying colors, would you be more likely to gravitate toward or away from it in traffic? Though it debuted over a year ago at the known-for-far-out-design Tokyo Motor Show, the Vision Tokyo's answer to the question of 'what will humans do if they don't have to drive' still seems plausible. And history shows us that science fiction dreamers come up prescient just as often as do scientists. The only remaining question is this: will self-driving vans someday have trippy wild horse murals adorning their flanks?